Our international speakers provided a broad insight into the business and technology aspects of HbbTV. Frode Hernes – Vewd – HbbTV, Finally Living up to Promises? Introduction Abstract: An introduction to the symposium, including: a general welcome, a first thank you to the sponsors, Wi-Fi access details, twitter hash tags, an explanation of the format including voting & polling, any notices and a thank you & introduction to the co-hosts DTVP. 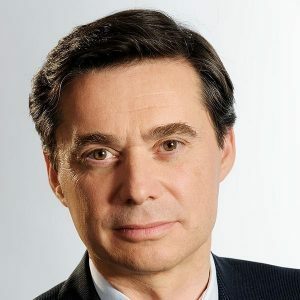 Keynote Abstract: This session is the keynote address from the HbbTV Association’s chairman, Vincent Grivet. He will give a “state of the nation” speech looking at what the Association and it’s specifications have achieved and what direction they could take in the future. Biography: Vincent Grivet, is a graduate from Ecole Polytechnique (Paris France) and Paris Tech Telecom. He worked for eighteen years for the international activities of the Orange Group, including a time as Chief Executive Officer of Wanadoo, Orange’s internet services unit in Belgium. In 2006, he was a co-founder of Maxtel, an entrepreneurial Wireless Broadband start-up which obtained significant spectrum rights in a competitive bid. He currently works for the TDF Group, where he is in charge of Broadcast Development and Innovation. Keynote Abstract: This keynote is a review of the global TV market from IHS Markit, covering global trends and forecasts, the impact of new technologies and the position of HbbTV. Biography: Paul Gray is a Research and Analysis Director within IHS Technology. Gray joined IHS in November 2014, when IHS acquired DisplaySearch, a leader in primary research and forecasting on the global display market. At DisplaySearch, he served as director of European TV research and also covered wearable devices, digital broadcast and semiconductor technology. He conducts in-depth analysis and forecasting of connected TV and 4K Ultra HD. He has over 20 years of experience in market intelligence, marketing and product management. His work includes forecasting, product strategy, investment and R&D decisions. He has been cited as an expert by Nikkei, Los Angeles Times, Le Monde, Financial Times, Electronics Times, The Korea Herald and other publications. Biography: Carine Léa Chardon completed her legal training in Germany and France with a focus on media law and media management. 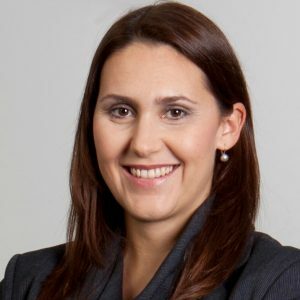 She joined the Kirch Group in 2001 as a media policy officer, was then responsible as Contract Manager at EM.TV AG for the licensing contracts for TV and merchandising, including for the 2010 FIFA World Cup. 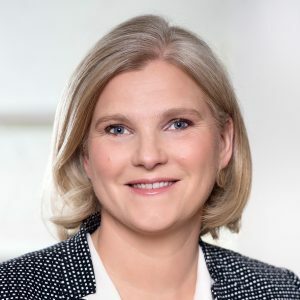 From September 2004 on, she held the position of Senior Counsel Regulatory Affairs at Premiere AG (now Sky Deutschland AG) – among other things, she worked on the development of Premiere’s media policy network at the European Union and in Austria. Since July 2008, Carine Chardon has been Head of Media Policy / Media Law at ZVEI – Zentralverband Elektrotechnik- und Elektronikindustrie e.V. (German Electrical and Electronic Manufacturers’ Association). In this function, she represents the interests of the members of the consumer electronics industry vis-à-vis legislative bodies and supervisory authorities at national and European level. She also heads the Consumer Electronics Team and represents the Managing Director of the ZVEI Consumer Electronics Association. In addition, Carine Chardon has been the managing director of the German TV Platform since August 2008. The association is committed to the overall interests of digital broadcasting companies, in particular the introduction of new technologies based on industry standards, such as interactive television with the HbbTV or Ultra HD standard. 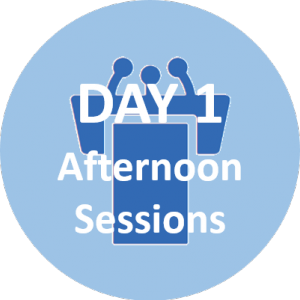 and Roundtable: “How can HbbTV help broadcasters better compete within the global marketplace? 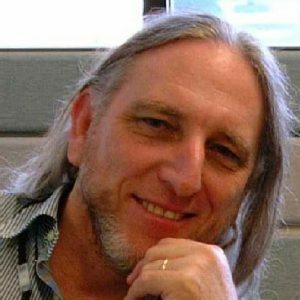 Biography: Product Manager at Cellnex Telecom, Treasurer and SG member at HbbTV Association and Associate Professor at Universitat Autònoma de Barcelona, Xavi Redon has been involved in Terrestrial Television evolution in Spain since 1996 moving forward projects like UHD DTT transmissions, TDT Híbrida certification, TDT SAT, ASO or the Spanish DTT network. Keynote Abstract: It is important for HbbTV services to be able to support premium content. This keynote will consider what technologies, including content protection that the rights holders, including Hollywood studios, are requiring to grow value from premium content. 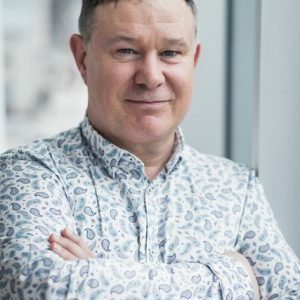 Biography: Matthew has over 20 years of experience in developing solutions, services and products for digital and interactive television, starting with video-on-demand trials in the early nineties. His most recent role was as CTO of Freesat, where he led the definition, development and live operations of Freesat products and services. Matthew strove to position Freesat as an innovation hub for free-to-view television, in the UK and across the globe. 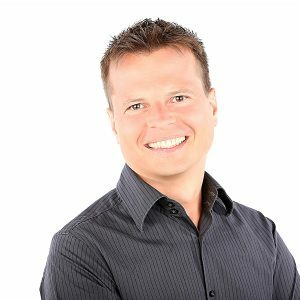 A popular satellite, cable and technology speaker, Matthew has the ability to clearly articulate the essence of complex technical issues to general and business audiences. He has written and spoken extensively on interactive television technology. Matthew holds a first class honors degree in Computer Software Technology from the University of Bath. He has a number of pending and issued patents and has served on the boards of several industry groups. He currently resides in London, with his wife, Abigail, and daughter, Amelia. Abstract: Together with our technology partner Smartclip we wanted to figure out if it’s possible to exchange a RTL II programme trailer (running in broadcast) with a TV ad (delivered via Addressable TV). Such an overlay/exchange is no problem with the HbbTV 2.0 standard (the colleagues at RTLplus and IP Deutschland have already tested it in 2017), in our test we wanted to see if it’s also possible by using the HbbTV 1.5 interface. Background is, that there is only a tiny amount of connected TVs in Germany which are supporting the 2.0 standard. The case, called Switch In Exchange, worked perfectly with the 1.5 standard, so there was a wider range of reachable TV devices to deliver spot campaigns via HbbTV. For EL CARTEL MEDIA it’s a new possibility to integrate advertisers and brands with a 30‘‘ TV spot via Addressable TV – besides classical addressable ad forms like Switch-In XXL (still) or Switch-In Spot (motion picture) which are already used by ECM and Smartclip. We tested the Switch-In Exchange with two clients: Coca Cola and 20th Century FOX. 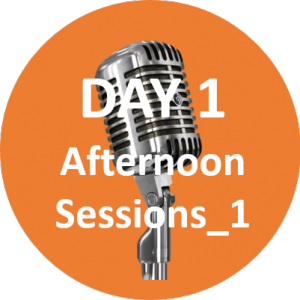 The challenge was to coordinate the various systems and interfaces in a whole bunch of departments and companies (RTL II programme scheduling, CBC broadcast, Smartclip adserver etc.) so that all the signals and commands necessary for implementing the Switch In Exchange could be transmitted and implemented. 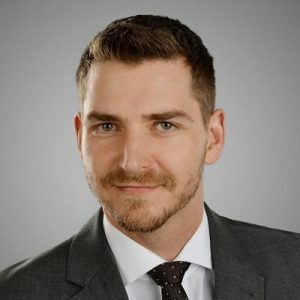 Biography: Florian is working for the RTL II saleshouse EL CARTEL MEDIA in Munich since 2014 – he is Senior Productmanager in the Media Solutions department, creating customer individual ideas and concepts for special ads in TV and crossdigital. Besides the website RTL2.de, the VOD service TVNOW and several mobile apps for different RTL II tv shows, HbbTV and especially Addressable TV is one of the focus topics in his daily business. He also is project lead of the EL CARTEL MEDIA AD LAB, where the sales house is developing new advertising forms for TV an digital. Biography: Andrea Duerager is a media research specialist within the Red Bull company, especially focused on TV research regarding ServusTV Austria and Germany. Her main responsibilities lie on the evaluation of the programme performance, the realization of quantitative and qualitative studies, and the enhancement of the HbbTV tracking measurement, that has been developed and refined by Red Bull in cooperation with Fraunhofer since 2016. In the past she worked for the University of Salzburg as a researcher and lecturer within the Department of Communication Studies and is still teaching basics of statistics and empirical quantitative work. She holds a Doctor in Philosophy, Master degrees in Communication Studies and Pedagogics and an MIM (Master in Management). Biography: Jörn Krieger has been working as a freelance journalist, specialised in digital media, broadcast technology, convergence and new markets, since 1992. 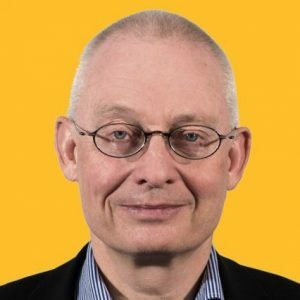 His articles are published by German and international industry publications such as Broadband TV News, InfoDigital, Digitalmagazin, Cable!vision Europe and Medien Bulletin. Jörn also takes up University lectureships, conducts workshops and seminars and hosts panel discussions at industry events such as Deutsche TV-Plattform Symposium, ANGA COM, Medientage München and IFA Berlin. Presentation Abstract: How can broadcasters react to the Internet giants such as the FAMGA (Facebook, Apple, Microsoft, Google, Amazon) entering the TV market with their pure online services? Some of them are implementing M&A strategies, some others aim to differentiate their offering combining the strengths of linear and online TV, and exploiting their exclusive hybrid channel: the connected TV. As an opportunity in their roadmap to the future, broadcasters can invest in a “New Gen TV” that combines their traditional “brand-driven” offering with data-driven models – leveraging available online data and tools provided by the FAMGA themselves – more than competing only in a pure online tv arena. Fincons will report his successful experiences in OTT TV and HbbTV with leading broadcasters such as Sky, Mediaset and RTÈ, will highlight its vision of the market and will describe its continuous investments in Key Enabling Technologies to support new ground-breaking TV models. 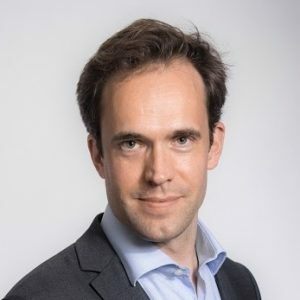 Biography: As Head of International Business Development and Innovation, Oliver is in charge of developing international markets as also portfolio innovation through R&D initiatives. In the Media sector specifically, he is involved in multiscreen video distribution, multimodal UX design, Interactive TV, Addressable TV Advertising, IoT, VR/AR, Big Data and Advanced Analytics, applied to OTT and to Audience Segmentation and UX Personalization. He is also UK Territory Manager. Presentation Abstract: HbbTV is a Swiss Army knife for broadcasters and operators, building the bridge between linear TV and OTT services. It is a vital step to help broadcasters defend their traditional revenue streams while finding new ones. The application of HbbTV can increase consumer choice while driving value for traditional broadcasters. From product design to product features the HbbTV standards are helping to provide value and commercial advantages to traditional broadcasting markets. Connected products provide broadcasters the capability to deliver new and exciting content securely to consumers. Hear first-hand accounts from broadcasters, identifying challenges they have faced and discover how Freesat helped them. Freesat will share with the audience our partnership strategy for solving problems, delivering projects, while bringing scale of opportunity to our partners. 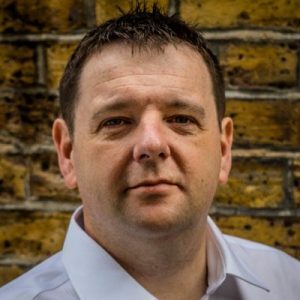 Biography: Andy oversees all the CE and relationships that Freesat has. 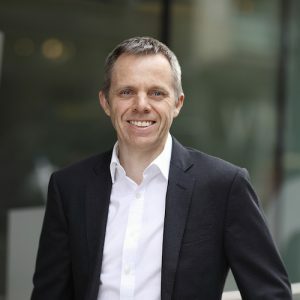 Entrepreneurial by nature, Andy’s leadership harnesses the technology investments inside Freesat setting the product strategy to create economies of scale for our global CE partners. Central to Andy’s capability and personality is his ability to build strong relationships with silicon companies, product companies, software partners, infrastructure providers and content owners. Early in Andy’s career, he was part of the first story for establishing digital television in Sony, as standards and industry emerged into existence. Starting and growing his own Set Top Box company TVonics in 2004 and winner of the IET Start up award in 2007. Andy’s professional network brings more than twenty years of experience in the television and media industry. Biography: Managing a team of 80+ employees staff engineers journalists, electronics, production and post production staff, etc. with a budget over of 1.5 million euros. The company today boasts several technology projects that have been implemented to enable multimedia to enjoy multimedia content through a variety of devices and applications such as mobile phones, tablets, pc’s, laptops, SmarTV, etc. The pinnacle of technological developments is the deployment of hybrid TV (HbbTV) services by ERT for the first time in Greece but also in the Balkans. Hybrid TV and the interactive services it offers are now available to citizens by ERT free, interactive. We currently offer for free at least seven apps like: 24 Plus, On Demand, App for the 27 live radio stations, EPG, ERTPlay’s (thematic channels), Whether app, App for the Football League. Latest we lunch services such as subtitles selection and multicam viewing of sport events. The ERT is devoted to making public service media. In a continues process my division supports and strengthen public service media, provide first-class media services and offer our customers innovative solutions. addition Mr. Lacy has held lead positions at various standards including MPEG, SDMI, and the Coral Consortium. scientist at Bell Laboratories, Bell Labs and AT&T Labs working in a variety of areas related to networking and computer security, including systems for sending voice over IP networks, cryptography, and secure systems architecture. 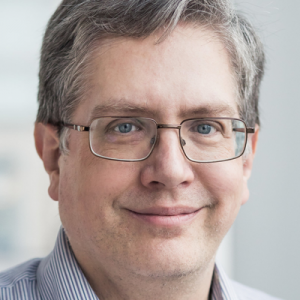 He is a co-inventor of Cryptolib, a widely distributed cryptographic library, and Policymaker, an AT&T developed approach to specifying and interpreting security policies, credentials, and relationships. Mr. Lacy holds graduate degrees in Physics and Computer Science from the University of Wisconsin and NYU respectively. Biography: Fabian Birgfeld is the CEO and co-founder of the digital design agency W12 Studios with offices in London. With over 20 years of experience he has designed, developed and launched next generation digital experiences for companies such as Bertelsmann, Intel, Citibank, and the BBC, among others, prior to founding W12. He was awarded the D&AD yellow pencil and the TV of Tomorrow’s Individual Leadership Prize. He is also an IntelCapital mentor. He holds a BA in Economics from Harvard University and a graduate degree in Architecture from Princeton University. Presentation Abstract: TV remains a major source of entertainment. But user expectations have dramatically increased over the past few years. Viewers have more choice and control than ever before. They want to find the right content and consume it on their own terms. Pay TV bouquets have made significant investment in platform usability to maintain subscribers, but viewers looking for free-to-air TV channels have been left behind. The HbbTV standard, which merges the quality of broadcast content with the flexibility of broadband, is a strong asset to better serve these millions of homes accessing the free-to-air market. 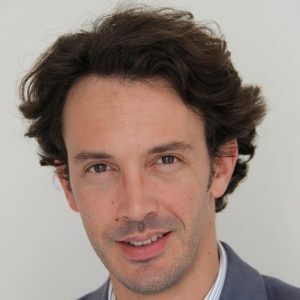 Biography: Nicolas Moulin-Fournier is SVP New Video Services at Eutelsat. He is in charge of the Eutelsat CIRRUS service, an end-to-end video distribution solution over satellite and OTT. Nicolas joined Eutelsat in 2011. Prior to this, he had 12 years of experience in the space industry, strategy consulting and software industry. Presentation Abstract: Colombia is now working towards the implementation of the DTTV. Currently, about 85% of the country has digital signal, but just 11% of the population use it due the preferred cable access and OTT services. In addition, interactive contents through HbbTV are under review, depending on their acceptance and use by European viewers. Most of the average viewers around the globe do not know what HbbTV is; even most of them do not realize that they are already using it. Currently, most of the live services are limited to weather forecasts, news, Video-on-Demand, or invasive advertisement. Therefore, there is no significant innovation for the viewers given by TV contents, other than those provided by mobile apps. The Universidad de los Andes is building a collaboration activity between Arts&Computing engineering around New Media expression of cultural content such as music, afro-culture, indigenous traditions and geography. The research includes interaction with VR and extra content presented by the broadcasters in their shows, improving the viewers’ experience. In addition, we aim to present the Colombian government’s new strategies for audiovisual production and the emergent market. We are looking for partnerships to coproduce new full interactive series in association with the Colombian National TV Autority (ANTV) and Señal Colombia. 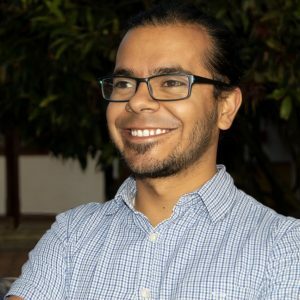 Biography: Carlos Antonio Navarrete-Puentes is a Colombian lecturer, researcher and tech entrepreneur with a Master degree in Software Engineering from the Universidad de los Andes in Bogotá (Colombia). 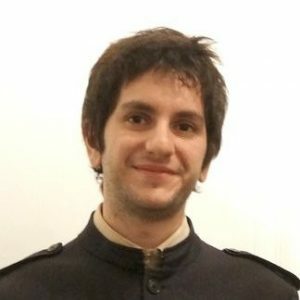 He has worked in human-computer interaction and new media content production for Digital TV and since 2011. His experience as a software development lecturer and his interests in entrepreneurship, education, culture, music and technology, has allowed Mr. Navarrete-Puentes to lead projects that ease and promote content creation addressing the design of new viewers’ experiences, in which he has developed, applied and tested in @mhp and HbbTV standards. 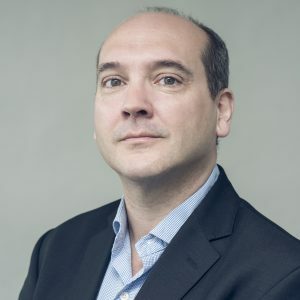 He is currently leading a project of a HbbTV based full interactive TV show with the participation of Universidad de los Andes, the Colombian IT Ministry, Colombian National TV Authority (ANTV), Señal Colombia important Colombian audiovisual producers. Biography: Peter Neumann studied Electrical Engineering and received the Dipl.-Ing. degree (2009) as well as the Dr.-Ing. degree (2017) from Technische Universitaet Braunschweig (Germany). In 2010 he started his career as a researcher at the Institute for Communications Technology of Technische Universitaet Braunschweig, where his research interest was on system theory and technology for heterogeneous broadcast/broadband networks enabling cost-effective and spectrum-efficient content delivery (Dynamic Broadcast). In 2016 he joined the Platform Solutions department of CBC Cologne Broadcasting Center GmbH. 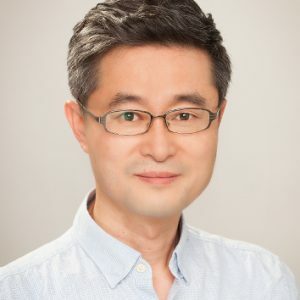 Since then he has been working in the field of program distribution with a focus on hybrid broadcast/broadband TV (HbbTV) and addressable TV (ATV). Abstract: The KbbTV platform, by Kineton, consists of a series of products designed to simplify the development and management of the HbbTV applications. The core of KbbTV is a modular framework, a software layer composed of a set of UI widgets, making it faster and easier to develop and manage the structure and life-cycle of a HbbTV application, starting from scratch. KbbTV facilitates the design of the user interface of the application, either by using to a graphic authoring tool, or by choosing from a set of fixed templates from the templates portfolio. Once the template is created, the platform allows the editorial team to insert contents, using the Platform Content Management System. Through the CMS it is possible to upload the contents into the previously created sections. Thanks to the KbbTV platform, the editorial team can manage magazine, participation and advertising applications. Through the created application, all the data audience and all the interactions of the end user are traced and saved in an intelligent audience service in order to understand its behaviour and to provide targeted advertising and contents. Biography: I am Pasquale Marinaro, born in Benevento on 31/07/1986. I graduated with a master’s degree in Computer Science in 2012. My first job was at Intelligentia, a university spin-off in Benevento in 2010, during my master’s degree. At Intelligentia, I developed a platform for business process management and a platform to optimize the management of cash in ATM, using AI techniques. In 2012 I started to develop interactive applications on SAT STB for a Sky Italy. was launched in Italy in 2017. Afterwards, I moved to a new company called Kineton, a company set up by the top management of MediaMotive, acting as technical manager concerning the media world, in particular, on HbbTV ecosystem. Biography: Mirko Nedeljković is CEO at Suitest, a spinoff of mineus, and has been working in the interactive television industry for more than 19 years. Suitest is the first and only object-based solution for automated end-to-end and user interface testing of TV apps across all living room devices including HbbTV/FreviewPlay, Tizen, webOS, Android TV, Apple TV, Xbox, Roku and many others. At Suitest Mirko is defining the product strategy and developing partnerships with broadcasters, manufactures and organisations. 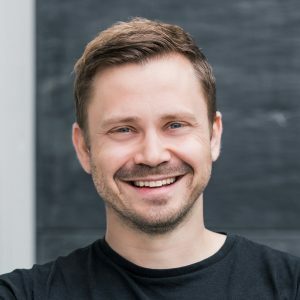 Prior to founding mineus and Suitest, Mirko worked at razorfish in Hamburg and New York as producer, client partner and head of broadband/future TV. Mirko has been working on cross platform software projects for broadcasters, cable network operators and content providers. 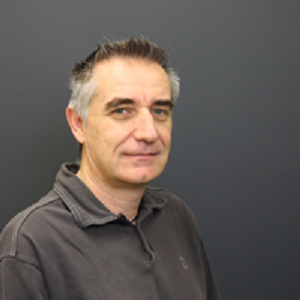 At mineus he has been overseeing implementations of HbbTV/teletext CMSs, HbbTV apps for e.g. ProsiebenSAT.1 Germany /Austria, swisstxt (SRG SSR), a comprehensive advertising SDK for HbbTV and various SmartTV platforms and numerous second screen apps. 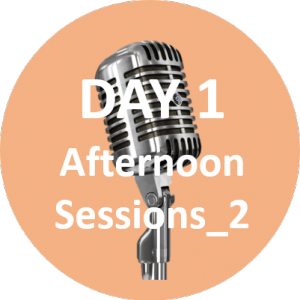 Presentration Abstract: The purpose of the talk is to explain the relationship between HbbTV’s Test Suite, the DRM Reference Application and the new DASH Validator. We introduced the DRM reference application at the last symposium; I will be explaining some additional features recently added to that tool. HbbTV and DVB have also jointly developed a content validation tool for HbbTV/DVB DASH profiles, which is now available. These tools are complementary but possibly confused, and aim to help different parts of the HbbTV eco system to the HbbTV Test Suite, which HbbTV also continues to invest in. 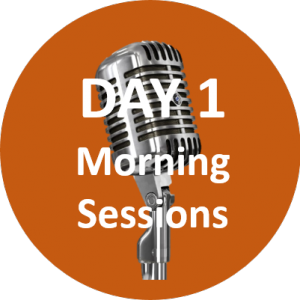 My talk will briefly explain the various tools and their role in helping achieve interoperability. 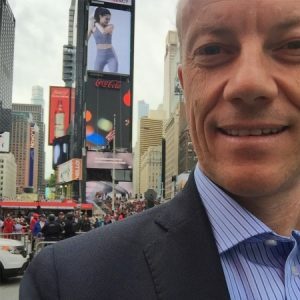 Biography: Dr Bob Campbell is chair of HbbTV’s Improving Interoperability Task Force (IITF) and Director of Engineering at Eurofins Digital Testing, a leading digital media and device testing specialist. The IITF seeks to address interoperability issues raised by industry in implementing HbbTV, wherever possible, within the HbbTV Association’s remit and scope. As a result of feedback it gathered, two new tools are now available for the HbbTV ecosystem which will be the subject of this presentation. 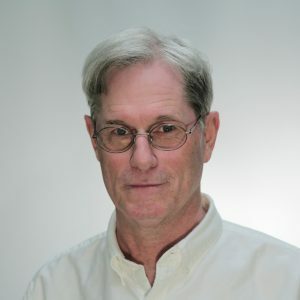 At Eurofins, Bob is responsible for the team that delivers Eurofins Digital Testing Products including the CI+ Test Tool, Ligada HbbTV test harness and HbbTV test suites used around the world. 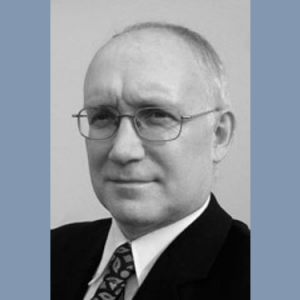 Bob is also responsible for Eurofins participation in a wide range of standards bodies and he is their representative at the HbbTV Association Steering Group, CTA WAVE, ATSC and a number of other organisations. 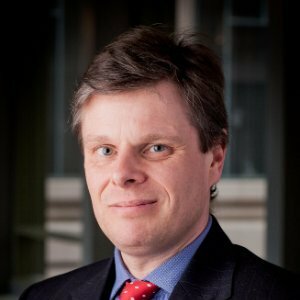 Prior to joining Eurofins, Bob worked in a variety of industries including at IBM and Siemens Rail and holds a PhD from Bristol University. Biography: Jon Piesing is the vice-chair of HbbTV. He played a major role facilitating the convergence of the original French and German initiatives which together become HbbTV. He is a member of the Steering Board of the DVB project and the Steering Committee of the CTA Web Application Video Ecosystem (WAVE) project. Jon has been a leading figure in the development of specifications for integration of TV and interactivity for more than ten years. This has included being the chairman of groups in DVB, the Open IPTV Forum and the UK DTG. Jon is now Director, Standardisation for TP Vision (who manufacture Philips TVs for Europe and a number of other territories). He has previously held senior positions related to standardisation in several different units of Philips. 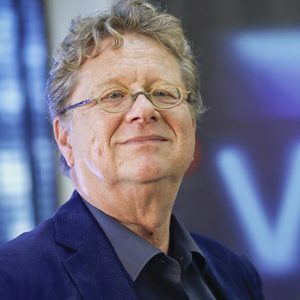 Biography: Robert Briel has been an international media journalist for many years, contributing to both Dutch and international trade publications. He is co-founder, co-owner and editor and publisher of Broadband TV News. Robert was for many years editor-in-chief and creative director of Veronica TV Magazine, Holland’s biggest selling weekly. From December 1999 until January 2002 Robert was head of international press & PR at the UPC media group and responsible for the international and external contacts for the various thematic channels from UPC across Europe. 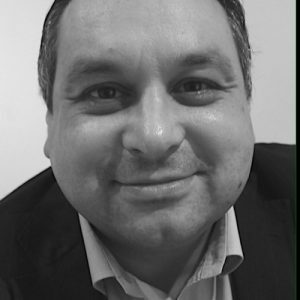 As a senior consultant at RGB Media he worked for Canal+, Bookmark, Sky Radio, CineNova the movie channel, the Dutch DVB-T broadcaster Digitenne, BBC Worldwide, SES-Astra, Philips, the NOS communications department and other blue chip media companies. Biography: Dr Marcus Dimpfel leitet die Strategische Unternehmensentwicklung der Mediengruppe RTL. Damit verantwortet er die Strategieentwicklung und -umsetzung sowohl für das Kern- als auch für das Diversifikationsgeschäft. 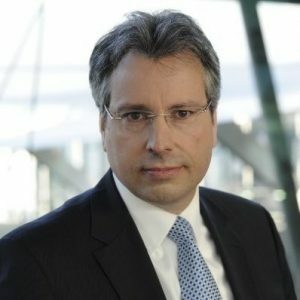 Zuvor leitete Dr. Marcus Dimpfel bei RTL interactive die Unternehmensentwicklung, arbeitete als Senior Director im Bereich Corporate Controlling and Strategy der Bertelsmann AG in Gütersloh und promovierte am Institut für Medien- und Kommunikationsmanagement der Universität St. Gallen. Biography: Stuart has been involved in the world of TV middleware since the 1990s and helped deliver the first interactive Red Button service at Sky in 1999. Since then he has worked with a variety of TV middlewares and systems including OpenTV, Liberate, TwoWay TV, MHEG and now HbbTV. Stuart chairs HbbTV’s Supplier Evaluation Working Group and has been a Steering Group member since 2014. He is currently Director of R&D for LG Electronics in Europe. Biography: Peter MacAvock is Head of Delivery, Platforms and Services, EBU Technology and Development and DVB Chairman. At EBU, he heads the team responsible for innovation projects relating to delivery technologies, spectrum management and software platforms. Amongst other things, he is responsible for spectrum matters and high level projects related to Hybrid Radio and Television including HbbTV, DVB, RadioDNS and others. In July 2016, he was elected Chairman of the DVB Project, and retains a role as co-chair of the HbbTV Reuqirements Group. He is an Irish national living and working in Switzerland. Biography: In his role as Associate Director, Ian leads the DTG Testing operation, including test material development and testing services, overseeing technical architecture and project design and management, ensuring quality delivery to specification, deadline and budget. 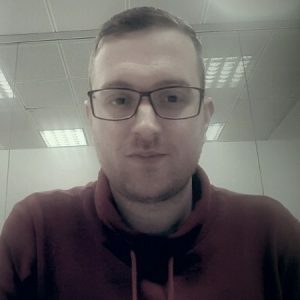 Ian joined DTGTL from interactive TV specialists Strategy and Technology (S&T) where he spent over a decade in a variety of roles, culminating in Head of Development – Client Systems, leading a group of engineers based in the UK and Hong Kong developing interactive middleware (MHEG) for digital television receivers. 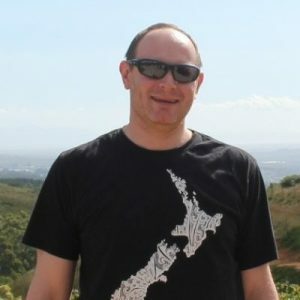 Ian started his career as a Test Software Engineer at aviation firm Smiths Industries before spending three years at Pioneer’s Digital Design Centre creating test and verification software for a variety of MPEG-1, MPEG-2 video, VSB, and QAM silicon designs. 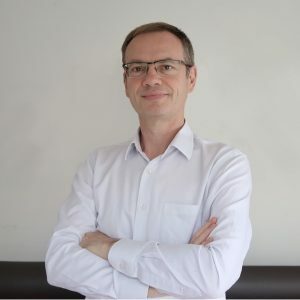 Biography: Pascal-Hippolyte Besson, CEO of DOTSCREEN, is a digital TV veteran with more than 20 years in this industry. 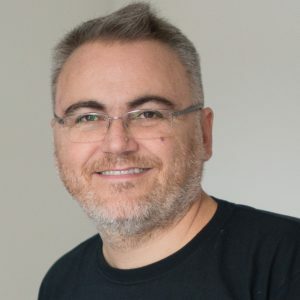 Prior to co-founding DOTSCREEN in 2011, he created, designed and developed with his team more than 300 applications on STBs (games, VOD, EPG, native UI etc.) for prominent digital networks around the world such as Dish Network (USA), Bell (Canada), Sky (UK), Multichoice (South Africa and Greece), Digiturk (Turkey), Austar (Australia), SkyNZ (New Zealand), Etisalat (U.A.E) and more. DOTSCREEN is one of the leading European, truly “multi-screen” agencies that creates, designs and develops custom applications on any Internet-connected mass-market device such as smartTVs, OTT boxes (including Roku, AndroidTV and AppleTV), set-top boxes, game consoles (PlayStation and Xbox), HbbTV devices, smartphones, tablets, connected car-radios, smartwatches and smart-speakers. Its customers are ESPN, HBO, CBS News, BeIN Sports, Turner, Fox, Disney, Orange, Telefonica, Vodafone and more. Regarding HbbTV, DOTSCREEN has been involved since its launch and has deployed many applications and portals for France Television, TF1 (France), France24, Fransat, Freenet (Germany), SVT (Sweden) and more. 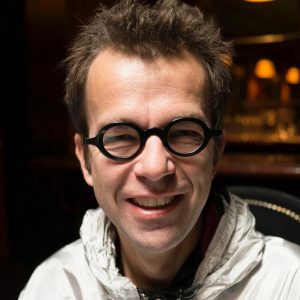 Pascal-Hippolyte holds an Engineer diploma in computer sciences (Université de Paris-Sud Orsay) with a specialization in User Interface. He also holds a MBA from Essec-Mannheim (DE). Biography: Arturo Larraínzar was born in Madrid in 1982. 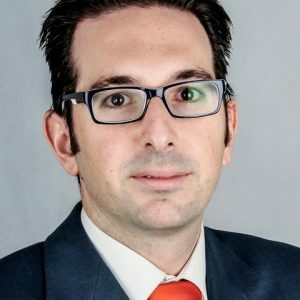 He has a degree in Business Administration and Management from Colegio Universitario de Estudios Financieros (CUNEF). Additionally, he complemented his training with a Master’s Degree in Audiovisual Company Management from the EAE Business School, and a Master’s Degree in Economic Research from the UNED. He commenced his professional career at Deloitte, where he carried out audit and consulting projects in the Media and Telecommunications sector. 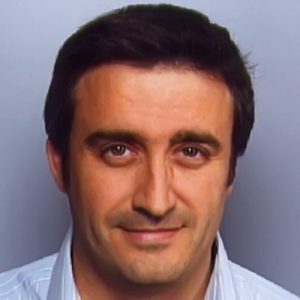 In 2008, he joined the Antena 3 Group as a market executive and in 2010, he was appointed Market Analysis and Business Development Director at Atresmedia Publicidad. In March 2014, he was appointed Strategy Director of the Atresmedia Group, a post which he occupies at present. Biography: Stefanie Lüdecke is Member of the Executive Board of ProSiebenSat.1 Digital. Her area of responsibility covers the red button services and HbbTV activities. For this reason she is responsible for the direct digital distribution of the video inventary of ProSiebenSat.1. Stefanie has longtime experiences in the entertainment and digital industry. At last she managed Shopkick in Germany and Europe. Further stations were leading positions at zanox (Axel Springer), TUI Germany and SPIEGEL. Biography: Klaus graduated from the Technical University Munich in telecommunications engineering in 1992 and then joined the IRT as scientific engineer. Since 1995 he is engaged in various working groups in the definition and market introduction of open and interoperable platforms for digital interactive television. With various standardisation activities being an important part of this work, he was deeply involved in the launching phase of the HbbTV initiative in 2009. He coordinates IRT‘s activities related to HbbTV and is still active in contributing to the further development of the HbbTV standard. Beyond standardisation, many of his activities are related to the practical application of HbbTV in operational market environments. This includes support for both public and commercial broadcasters in all questions related to the practical use of HbbTV, specifically in the context of new service types or new HbbTV features. Presentation Abstract: HbbTV has enabled broadcasters and TV operators to make large collections of broadcast content available for On Demand or delayed viewing, creating richer TV viewing experiences worldwide. There are however still many features that can further improve the user experience: better content discoverability, binge watch capabilities and the ability to watch snack-sized video clips instead of entire programs. These are features that consumers know from OTT video services like Netflix and YouTube, and which they might expect from broadcasters and TV operators that offer HbbTV services as well. To address this, some broadcasters and TV operators try to offer better experiences by manually annotating content to improve their discoverability, detect start times or intro/outro credits, and by manually “cutting” linear content into short-form video clips. However, these are often neither feasible nor scalable solutions. create snack-sized video clips out of broadcast programs. Martin will also elaborate how this applies to HbbTV experiences and present some key findings from our research and deployments. Biography: Martin Prins is Product Owner at Media Distillery, an Amsterdam based startup specialized in using AI to understand what’s inside video. With an R&D-background in streaming and broadcast media, Martin is currently responsible for Media Distillery’s Deep Understanding Platform, which helps broadcasters, operators and media organisations leverage AI to improve the user experiences of (broadcast) video services. Martin has over 10 years of experience in creating innovations for the broadcast and media industry. Prior to joining Media Distillery, Martin worked as Senior Media Consultant at TNO, a leading Research Institute in the Netherlands. In this role he helped broadcasters and operators with media innovations such as OTT content delivery, HbbTV, UltraHD and Addressable TV. 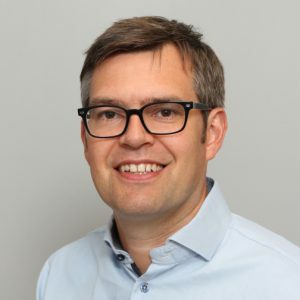 Martin was involved in HbbTV, as spec editor of HbbTV Application Discovery over Broadband, and was also actively involved in DVB’s standardisation activity for Targeted Advertising. The first HbbTV 360° Video Portal was launched by the Greek public broadcaster ERT during the FIFA World Cup in Russia with great success. Viewers are able to watch more than 150 360° videos for all 64 games on HbbTV devices without additional Hardware. The second application is a prototype developed by Fraunhofer FOKUS and RBB as part of the HYPER360 EU project and aims to bring interactive 360° video experiences to HbbTV devices. The third application which is part of the project „Meet the miner – Bergwerk 360°” produced by WDR gives the user the experience of how dangerous and grueling the life of a miner is. Bringing this experience to the TV is the aim of the 360° HbbTV application expected in November. 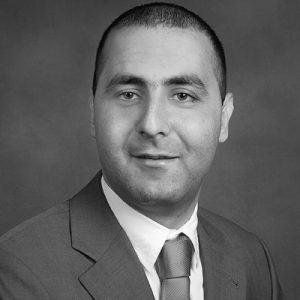 Biography: Louay Bassbouss is a scientist and senior project manager R&D in the business unit Future Applications and Media (FAME) of the Fraunhofer Institute for Open Communications Systems (FOKUS). 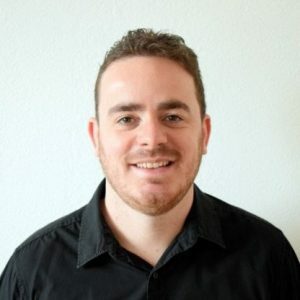 He works on Future Web Applications, Multiscreen Technologies & Standards, and 360° Video Technologies. Louay has actively participated in various standardization activities at W3C, particularly in the Second Screen Working Group. He is the test facilitator of the W3C Presentation API. Presentation Abstract: One year after CCMA started the new HbbTV app for the kids channel, Super3, it’s time to show how it has contributed to a net increase in the online audience of kids programs without negatively impacting the other online distribution channels, which have maintained their audience levels. This audience will continue to grow thanks to the recently released StarOver service which will allow the user to re-start the content that is being broadcasted. In the road to innovation, new services that allow consumption of contents on the second screen synchronously to the HbbTV are being developed within the European projects Immersive Acccessibility & EasyTV, where CCMA collaborates. First results can be enjoyed by end users through open pilots. The CCMA has been also actively working on the Bigdata project to increase audience engagement, improve program scheduling based on the knowledge of its viewers, and enhance the user experience in their online distribution channels. Login service has been added to its HbbTV service to allow a personalised content recommendation based on profiling users and content. Finally CCMA presentation will show how data gathered through HbbTV can help to monitor the broadcast, as for example when there is a need to move a TV channel from one multiplex to another and real time information can help to drive the project to success. Biography: Francesc Mas is Engineer Consultant & Project Manager at Corporació Catalana de Mitjans Audiovisuals (CCMA S.A.), Spain. He graduated in 2001 as Telecommunications Engineer, and upgrade his skills with a Master in Digital TV in 2002 and an Executive Master of Business Administration in 2007. He’s specialized in TV & Radio News IP contribution, multi-platform delivery and broadcast & broadband TV services (DTT, OTT, Hybrid TV). Francesc Mas collaborated in TV-Ring European project focused on innovative multi-camera TV services and Hbb4All European project about TV accessibility for impaired people. He also took part in the project for the deployment of Digital TV and HbbTV in Colombia. Nowadays Francesc Mas is participating in two European projects, both focused on accessibility, with the target to foster wider availability of accessible media offerings including also the new immersive 360º contents. Biography: After working with Freesat as Chief Solutions Architect, Raj Patel founded Yotta Media Labs with Gary Knowles (ex NDS and OpenTV). 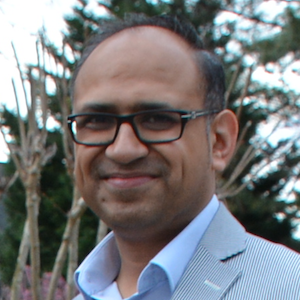 Raj has worked in the media industry over the last 18 years, primarily focusing on Interactive Services on TV across multiple platforms and successfully launched the 2nd generation Freesat platform & service called “freetime”. Recently, he has contributed, his efforts to the HbbTV Operator Application Specification and now assisting over the pond in implementing ATSC 3.0 next generation TV. Presentation Abstract: On May 31st 2017, Korea had launched a world’s first terrestrial UHD broadcasting by ATSC3.0 standard. In last November 2017, Korean terrestrial broadcasters had started UHD interactive service named as “TIVIVA 1.0” according to the IBB (Integrated Broadcast Broadband) standard in Korea which is similar with HbbTV in Europe. During the PyeongChang 2018 Olympic Winter Games in February 2018, the service was upgraded to TIVIVA 2.0 which includes not only real-time channels but also personalized contents service with advanced UI/UX based on lifestyle curation. At the presentation, the recent experience and lesson learned will be shared with the audience in terms of terrestrial UHD broadcast and Interactive service in Korea. Biography: Jeong-Deok Kim obtained the B.S. and M.S. degree in Electronic and Electrical Engineering from POSTECH, Korea, in 1994 and 1996 respectively. In 1996, he joined the R&D Institute of KBS. He is now a director in the Research and Planning Department and IBB Chair at Future Broadcast and Media Standards Forum in Korea. He has devoted himself to developing new broadcasting services across multiple TV platform and he is also interested in AI, data analysis and VR/AR. Presentation Abstract: Hybridcast was developed and has been widely deployed in Japan. Both Hybridcast and HbbTV2 are recommended HTML5 based Integrated Broadcast-Broadband (IBB) systems as described in ITU Recommendations and their basic structures and concept are very similar. However, their applications are incompatible mainly due to differences of their additional APIs. If the applications that have the same behavior on each system can be created from a single set of source program, it enables true global exchange and sharing the services, which has never been achieved on interactive TVs. After careful comparison of these two systems, in particular, additional APIs and application types, it is identified that use of following matters are the shortest path to create equivalent applications; 1) “service associated applications” such as broadcast-related applications of HbbTV2, and 2) conversion of major APIs to bind the applications to broadcast channels. Based on this comparison result, a new application developing language is proposed. Its effectiveness is confirmed by the prototype application generation system which creates HbbTV2 and Hybridcast applications from a single set of source program. And it shows that some libraries for Hybridcast can also be used easily on HbbTV 2 receivers, such as MPEG-DASH player with MSE. Biography: Masaru received B.E and M.E degree from Tohoku University in Sendai, Japan in electrical engineering in 1987 and 1990 respectively. He joined NHK in 1990, and since then, he started his research work in various technical area at its Science and Technology Research Laboratories. 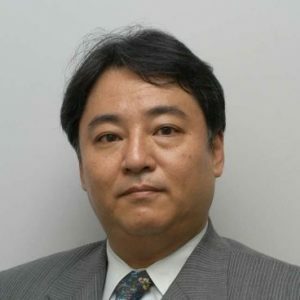 His research takes an important role for the development of digital broadcasting systems in Japan from its early age, in particular, the protocols and receiver architecture for multimedia services. He is also active for standardization. He made many important contributions for interactive TV standards including BML and ARIB-J and led standardization of Hybridcast for 2K and UHDTV, and ARIB-TTML. He also led global standardization in this area as the Sub Working Group chair and the Rapporteur at ITU-R and ITU-T. Currently he is seconded to NHK Engineering System Inc. for the development of technique toward harmonization of applications between Hybridcast and HbbTV 2. Biography: Teun van der Veen is Senior Consultant in the Networks department in TNO. In this position he leads the Media Networking team and is responsible for R&D projects in the Dutch and European telecom markets. Teun chairs a number of informal European operator work groups on broadband and IPTV. He leads the TNO-initiative on HbbTV Operator Applications and works with operators and manufacturers towards deployment in 2018 and beyond. He is supporting HbbTV in its marketing activities, for instance by driving the publication of the recent whitepaper on the OpApps standard. Teun has coordinated a consortium of HbbTV members to create and review test assertions for this standard. 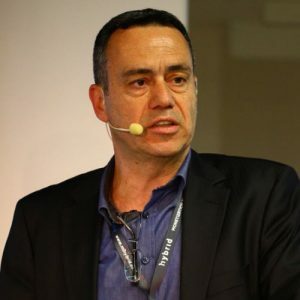 He founded TNO’s Ultra-fast Broadband seminar, a world-leading event on technical developments in broadband that celebrated its 10th edition in 2018, illustrating the fact that Teun has always enjoyed connecting people and knowledge. 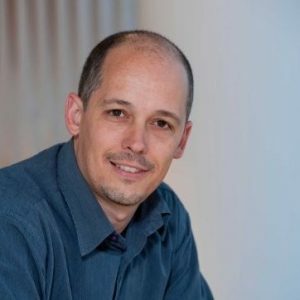 Before joining TNO in 2003, he was lead photonic chip designer at C2V, Alcatel Optronics and Kymata Netherlands. Teun holds an MSc degree in Applied Physics from the University of Twente in The Netherlands. Presentation Abstract: tivùon OpApp is fully based on HbbTV specs. Enhances the TV experience through a better performance, enforces security for both manufacturer and operators and enriches the ecosystem of HbbTV technology offerings allowing advanced features (PVR, Audience measurement, targeted advertising). OpApp also improves the real-time audience measurement. Tivù already developed a Real Time Audience Measurement and Analitycs system across all of HbbTV applications. In the OpApp scenario our tracking system can make the difference. Our Real time dashboard can be highly customized and shared with the broadcasters interested in deep audience profiling, allowing new business model based on target advertising. 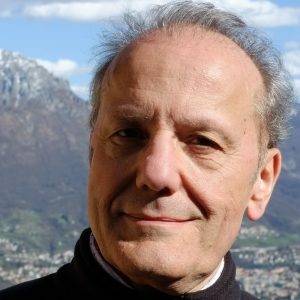 Biography: Alberto Sigismondi is an expert in digital television, he works for Mediaset as Director of Digital Platforms Development. 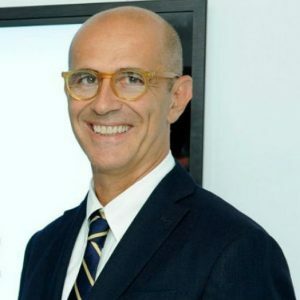 In 2008 he has been appointed CEO of Tivù S.r.l., the JV between RAI, Mediaset, Telecom Italia Media. He has been working in television since 1978, with different roles including Strategic Marketing Director. He is 59, lives in Milan, married with two children. Graduated in Philosophy, he taught Media Studies at University of Milan. He has chaired the Free TV Alliance recently created among the main european free to air satellite broadcasters. Presentation Abstract: SERAPHIC, a world leader of Hybrid TV technologies, is once again pioneering in the implementation of the latest HbbTV and HbbTV OpApp standards. With HbbTV and HbbTV OpApp, a number of options spanning from content viewing experience enrichment to a complete subscriber experience redefinition are offered for operators to enrich the user experience of their subscribers. Furthermore, the latest version of HbbTV technologies are expanding way beyond the initial scope of the TV Set to encompass the current trend of video consumption. Beyond the feature set and innovative capabilities offered by HbbTV standards, the operators now have a chance to further develop their control over the complete user experience of their subscribers. Biography: Patrice Silvant acts as the strategic role of VP Sales & Partnership in EMEA. 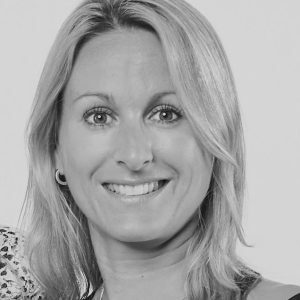 Patrice comes to SERAPHIC with more than 20 years’ experience in technology, sales development and innovative projects in DTV industry, with roles spanning from software development to technology licensing. Patrice initially joined the inception of digital TV at Technicolor and the world first internet connected TV: the Thomson-TAK project. 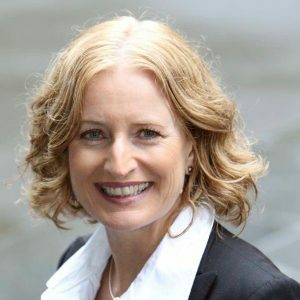 Patrice then partnered with the key DTV technology companies worldwide to source the best technologies as Director of Software Sourcing at Technicolor, and then joined DivX and Opera TV business team before joining SERAPHIC. Presentation Abstract: The OpApp specification as developed by HbbTV and standardized by ETSI gives IPTV operators the possibility to deploy new services and features in a reliable way that is compatible with the already existing HbbTV specification and with broadcaster apps. This new technology reduces the complexity of implementation and it allows for IPTV operators a branded TV experience to their customers. Additionally, the usage of an OpApp facilitates a consistent customer support. OpApps make use of some of the user interfaces provided by the TV manufacturer. Therefore, a bilateral agreement between the TV manufacturer and the IPTV operator is needed to specify the behaviour of such interfaces and to describe maintenance responsibilities. For an IPTV operator as Deutsche Telekom this work step is nothing exceptional, it is a well-known part when defining the features of a set top box. By shifting functionalities from the set top box to the smart TV, Deutsche Telekom wants to address new market segments and wants to substitute in the long run the current hardware-based solution by means of a set top box by a more flexible and customer-friendly technology. Biography: Jens Johann has been involved in the development of digital TV since its planning in the early 90’s and he is currently acting as Senior Manager in the area of multimedia and broadband services at Deutsche Telekom. 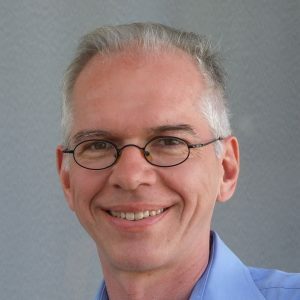 In this position he manages standardization activities for Deutsche Telekom Group in close collaboration with research and product development. For more than 25 years he represents his company’s interests in several standardization bodies and fora as ITU, ETSI, DVB, DECT, i3Forum and also in HbbTV. Jens holds a diploma and a PhD from Technical University of Darmstadt, both in communications engineering. Presentation Abstract: The perfect synergy to get an Operator Experience for Horizontal market. The idea is to explain why and how the CAM can enhance the OpApp experience and deployment. 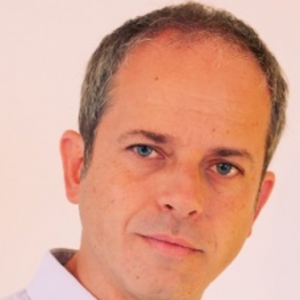 Biography: Erik Gazzoni is currently in charge of Product Management for SmarDTV Global. As such he’s looking after the DVB-CIPlus roadmap to define next generation Conditional Access Module Product Line. Before he was Head of Cable and IPTV products where he led the Product definition for two-way networks. Prior to SmarDTV, Erik was Director of Marketing Digital TV for SCM Microsystems Inc., Fremont CA. where he managed several Digital TV projects (first WW USB/1394 PC DTV receiver, CableCARDs for both US and Korean markets). He has been involved in various Standardization/Engineering committees and Working groups like Society of Cable Telecommunications Engineers (SCTE Digital Video Subcommittee) and OpenCable to DVB-CI/CIplus initiatives. He received his Master of Computer Sciences and Electronics from one of the top of French Higher School of Engineering (Ecole Centrale). 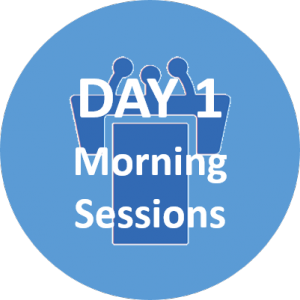 Presentation Abstract: HbbTV OpApps have been one of the most anticipated technologies to emerge from the HbbTV Association. OpApps have the potential to reshape how operators serve customers, by creating a virtual set-top box experience with an operators’ own UI and application to offer a more engaging and branded user experience. With the launch of Tivusat’s tivùon service, HbbTV Operator Apps have finally made their way into homes in Europe opening more consumers to a free choice of STB offerings. As one of the key partners in the deployment, Vewd’s Kevan Qureshi will discuss the real-world findings and lessons learned to show how other operators can benefit from HbbTV OpApp. So far, the results are clear. Operators can unlock new pathways to subscriber monetization, gain a deeper understanding of user behavior through analytics, and roll out new updates and innovative services faster, all while scaling more efficiently and at lower cost than traditional middleware projects. Even set-top box manufacturers are empowered with a lightning fast time-to-market. Manufacturers can build a standardized platform that scales across multiple markets. Everyone wins when an operator embraces HbbTV Operator Apps, and now we have the first evidence to prove it. 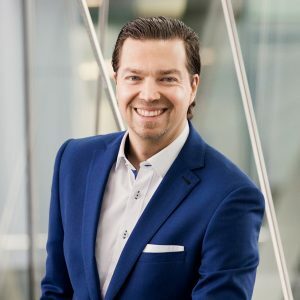 Biography: Frode Hernes is SVP, Product Management at Vewd, where he leads product development of Vewd’s core products, including our award-winning HbbTV products. 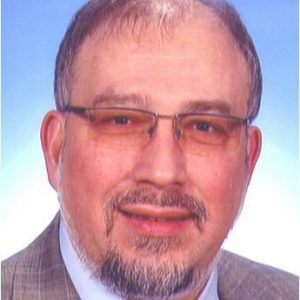 He has more than 35 years of experience with office- and consumer software delivered to B2B customers. Since 2010, he has spearheaded Opera/Vewd products for the TV industry, from the first pioneering HbbTV 1.0 solutions, and the latest HbbTV 2.0.1 solution with advanced Media Synchronization, to the latest introduction of the complete turn-key smart TV solution, Vewd OS. Frode has a broad knowledge of the HbbTV ecosystem, technology and markets and has been a member of the HbbTV Steering Board since 2012.